It all started in Whitehorse, as it does for most visitors to “The Yukon” as it is affectionately known to locals. I flew in off a connecting 2 hour flight from Vancouver and collected my bags from the stand alone baggage carrousel before lugging them outside into the rain. Yes, the rain. I visited during summer, but the weather up North was substantially different to the rest of the country. While it only rained for a couple of days and was sunny for the most part, the weather was noticeably a few degrees cooler than elsewhere in Canada during August. Lesson learned: pack some layers and a rain jacket, as you never know what to expect! I spent my full weekend further in the depths of the Yukon in the once capital and initial Klondike gold rush town, Dawson City. Situated a (roughly) six hour drive from the now capital (Whitehorse), Dawson City is an absolute must visit while in the Yukon. The town has cleverly preserved their unique mining history – complete with colourful buildings, saloons, and infamous cultural observations such as “The Sour Toe Cocktail“. See more: Video diary from Dawson City! 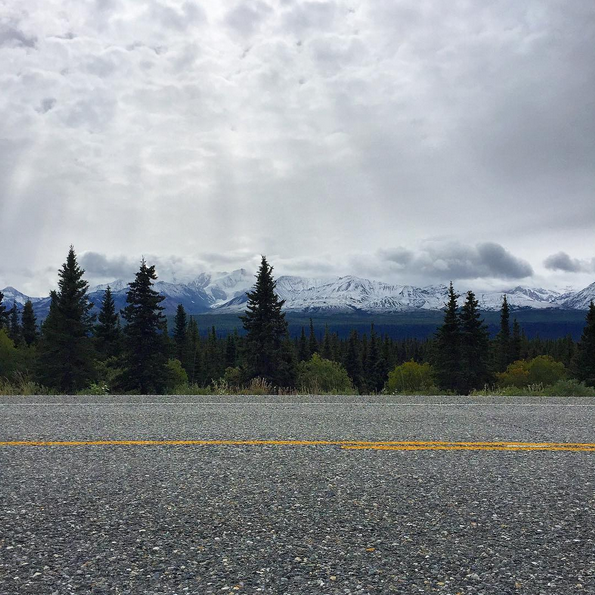 During my time in the Yukon, I was also able to enjoy a snippet of the Alaska Highway – which is aptly named due to its connection through to Alaska (go figure)! While the highway was merely a connection between Whitehorse and Haine’s Junction, the gateway to the Kluane National Park, it also served as an attraction within itself. There isn’t a whole heap to say about Haines Junction if you go by the books, but in reality it is the perfect little pitstop along your travel route. If you do happen to stop by for some poutine, you won’t be disappointed. If you’re after a healthy snack or smoothie, head to the local bakery (you can’t miss it – ask a local to point you in the right direction if you do struggle). It is also from here where glacier flights into the Kluane National Park take off – an absolute must do! One of my all time bucket list activities has been to have contact with glaciers. 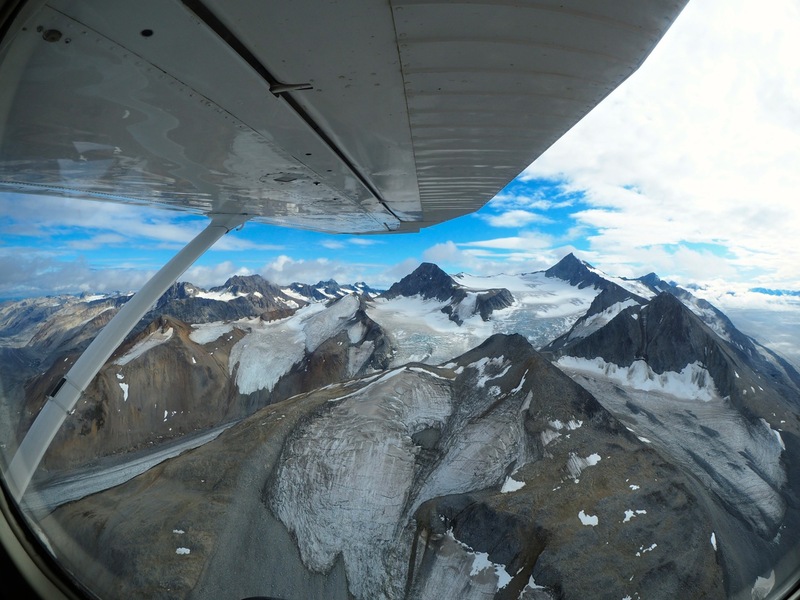 Whilst there was no contact per se, a flight over these impressive glaciers in the Kluane National Park was about as memorable as it gets! Check them out to book yourself in for a once in a lifetime flight (it still makes me giddy with excitement as I write this)! “What camera was this taken on?” I used my Olympus OM-D E-M5 Mark with a fisheye pro lens. Just over the river from Dawson City is the renowned “Top of the World” Highway drive through to Alaska. If you’re combining a trip to the Yukon with Alaska (as many do), this drive is as spectacular as they come. Just a couple hours outside of Dawson City is one of the most spectacular national parks in the Yukon! Tombestone National Park is full of great hiking trails if you’re visiting in the warmer months, or if you just want to come check it out for a few hours there are some great viewpoints to drive to inside the park. Miles Canyon Basalts; Takhini Hot Springs; Yukon River; Schwatka Lake. 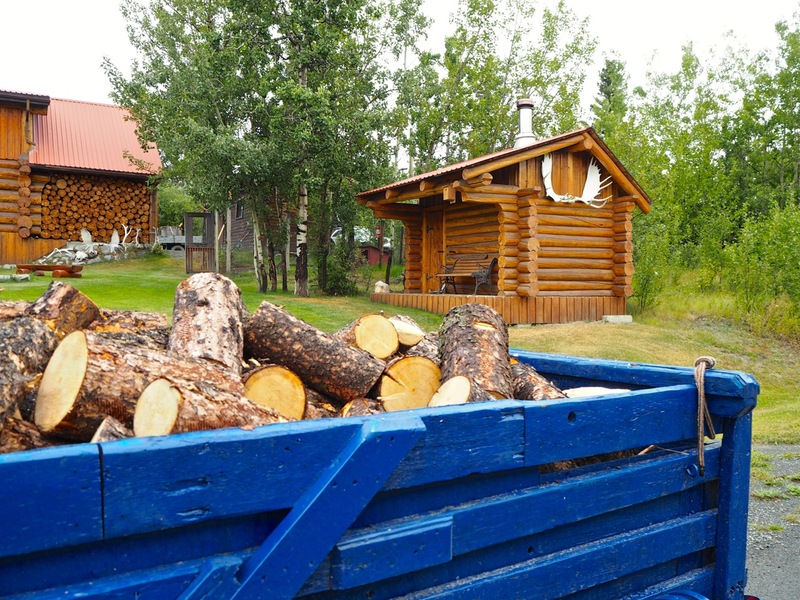 Find out more of what is on offer in the Yukon here. Looks so peaceful. Wanna pack my suitcase! Great post. I’m in Australia but we’ve been meaning to visit my relatives in Alberta for ages and I really wanted to also visit eastern Canada. Unfortunately it’s expensive and far! Hadn’t thought of going up north instead. I went on a road trip from Vancouver, B.C. to Alaska this summer. Yukon (and I guess the rest of Northern Canada) is definitely the most underrated place in the entire country! It was so great to meet you and travel with you in the Yukon…I’m especially glad I was there for your inaugral poutine tasting 🙂 Looking forward to reading about your next Canadian experiences in Quebec. Canada has never been high on my radar until I started seeing all of your beautiful photos! I’m loving the regular VLOGs!! Canada is such a beautiful place! Cannot wait to visit again in November! The Yukon looks like such a stunning area of Canada; it’ll have to be added to my list! 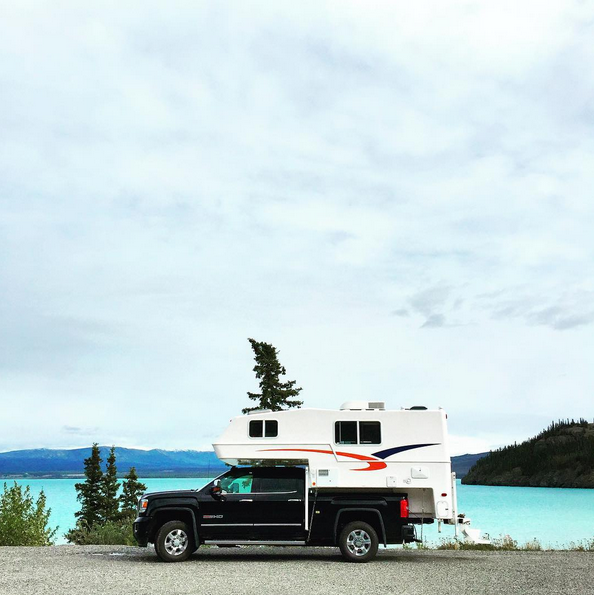 Loved this post as I was also just in the Yukon…although as an Albertan it wasn’t as far of a trip for me. We drove all the way to Whitehorse up the Alaskan Highway and found the entire trip breathtakingly beautiful. Awesome photos! I have been so fascinated with Canada lately, especially because it is so close! The landscapes there are just mesmerizing. You’re making me want to visit the Yukon someday — looks amazing there! Dawson City sounds like a place that I would love. If you want to actually walk on glaciers and see them close up — I highly recommend a visit to Alberta. Just outside of Jasper they have tours to the Columbia Icefield Glaciers. It’s a lot of fun! Looks stunning! I just visited Victoria, British Columbia earlier this summer, and would love to explore deeper into British Columbia. Looks A-mazing! Almost makes me want to change my upcoming California road trip to a Yukon road trip! But shall settle for adding it to my ever growing travel list… Thanks for another great piece, looking forward to future Yukon articles. Glad you had a great trip up to the Great White North and am so happy to hear you made it way up to the Yukon. Very cool. My Grandfather worked up there pioneering for a huge part of his career so I’m happy to see you enjoyed your adventure! Come back to Canada soon, we have even more to offer! Awesome, glad to see you’ve made it to Canada! And up North at that! I’m from Newfoundland, which is the complete opposite side of the country and it’s amazing how different Canada can be. Everywhere is different and unique – it’s not all bears and maple syrup, or even cities. Every town, city, or province has a unique history and identity that takes a very very long time to experience it all! Love your photographs! Canada really is such a beautiful country!